The Temple on the Via delle Botteghe Oscure was a serendipitous find I made while walking from the Victor Emmanuel Monument to the Turtle Fountain one day. 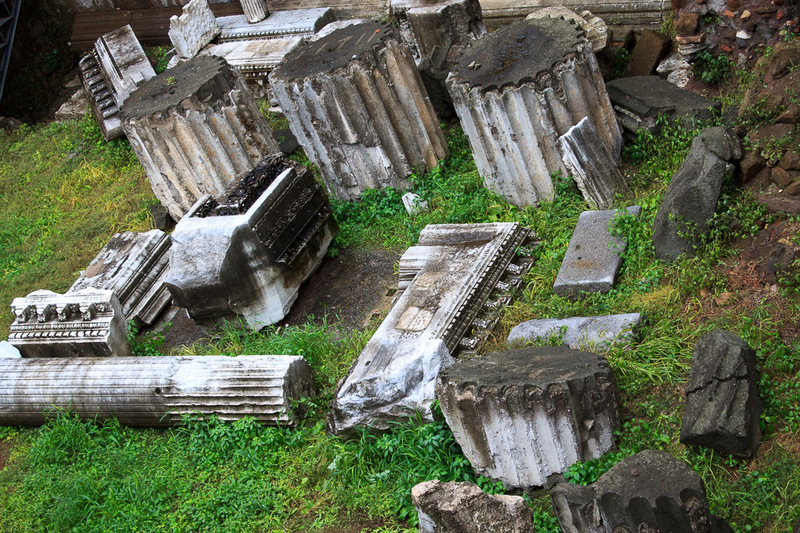 It's just a couple ancient fluted Corinthian columns, which were re-erected in 1954, standing on a podium in front of what looks like a church but is actually an art gallery, I believe, with some crumbled ruins on the ground in front of it. They were found in 1938 either while Via delle Botteghe Oscure was being widened, or while digging the foundations for a new building which was then never built. The ruins were reconstructed based on a fragment from the Forma Urbis. The temple had eight columns across the front and back, and twelve down the sides. The cella had an internal colonnade and held the cult statue. 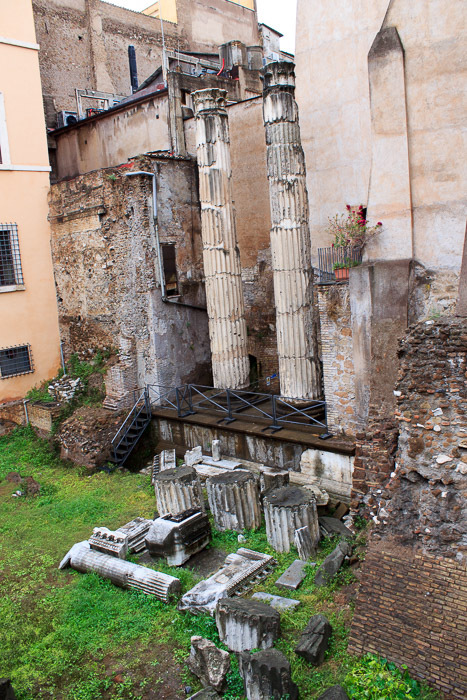 The temple was dedicated to either Lares Permarini, who protected sailors, or to the Nymphs, whose annual festival fell on August 23, and might have been associated with Temple D in Largo di Torre Argentina. See all Temple on the Via delle Botteghe Oscure photos.